All about Beyoncé’s dramatic new hair color! Like déjà vu, Beyoncé is a brunette again! 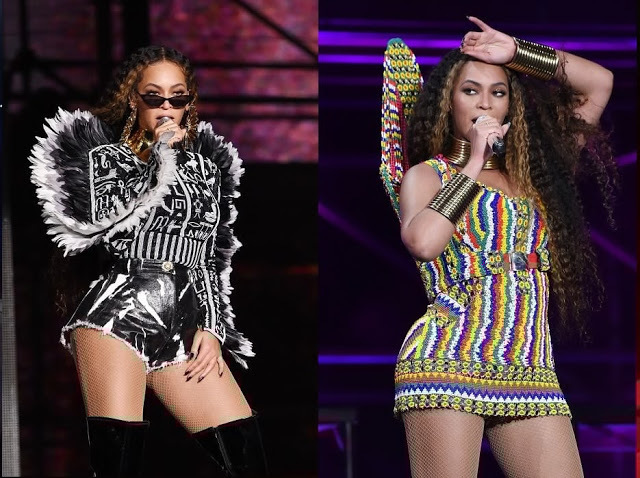 The singer debuted her dramatically darker hair during her performance alongside Jay Z at the Global Citizen Festival in Johannesburg, South Africa, which honored Nelson Mandela a century after he was born. Bey's new color is a rich chocolate brown with two warm, caramel-toned streaks framing her face. Her waist-length hair was styled in tight curls, an optimal look for her signature hair flips. Although the singer has been a brunette before, this is the darkest her hair has been in the past few years. Most recently, she's played with all-over caramel highlights and a bright honey blonde shade. In fact, when it comes to reinforcing hair color trends, Beyoncé's name will definitely be in the top list!